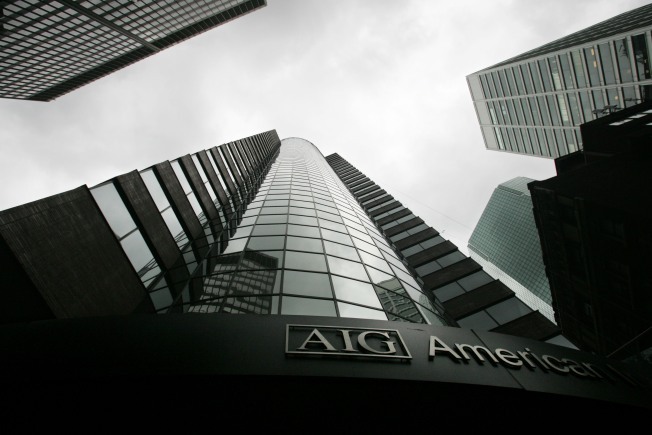 An attorney for the New York Federal Reserve tried to convince AIG to renege on a million-dollar bonus for a top executive, concerned about how the public would view such a cash reward for a company that received a taxpayer bailout. Marshall Huebner, an attorney in private practice working for the Fed, wrote in an email that it was “very bad timing” to file an Securities and Exchange Commission report that showed AIG executive David Herzog having received upwards of a $1 million bonus. Huebner worried that this would be revealed “just before [then-Treasury Secretary Hank Paulson] and the [Federal Reserve Chairman Ben Bernanke] go before [House Energy and Commerce Chairman Henry] Waxman, right as the other TARPeys are announcing zero bonuses,” according to an e-mail subpoenaed by the House Oversight and Government Reform Committee and obtained by POLITICO. The House Oversight and Government Reform committee Wednesday will hold a hearing on the New York Fed’s involvement in AIG’s fully paying out pricey insurance contracts to big banks after receiving a government bailout. Lawmakers have accused Fed officials of attempting to persuade AIG officials to keep the payment of credit-default-swap contracts off their Securities and Exchange Commission filings. These emails, which have been included in a memo for Republican members for the hearing, seem to show a certain level of influence from the Federal Reserve’s lawyers in disclosing a potentially controversial bonus.